Every child needs a block set or two. Blocks are one toy that my kids return to again and again. They are wonderful for constructing, but they are also good for creative play. There are many benefits to creative play. Creativity helps contribute to good problem-solving skills. Creativity is an outlet for energy. Creative opportunities allow children to test out their ideas by trial and error. They experiment and learn by doing. 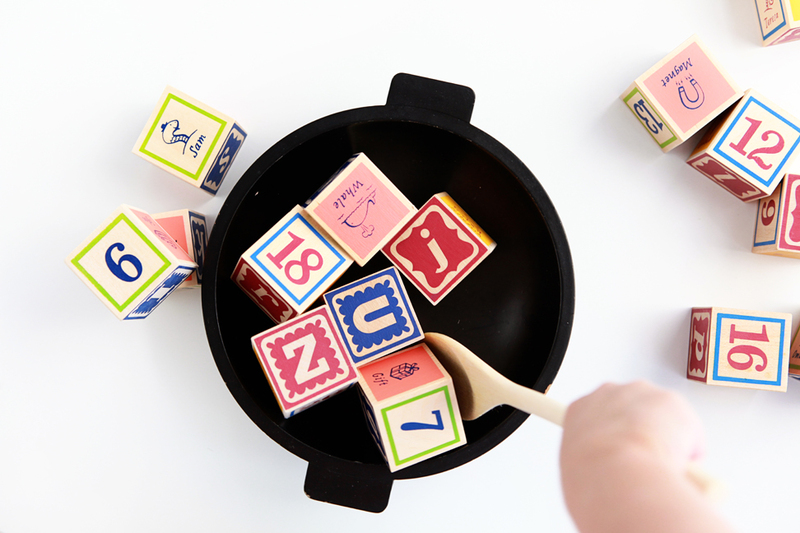 Here are Land of Nod's Nod blocks being used as food, an example of symbolic play (one aspect of symbolic play is when a child uses an object to represent another object, e.g., pretending to use a banana as a phone). 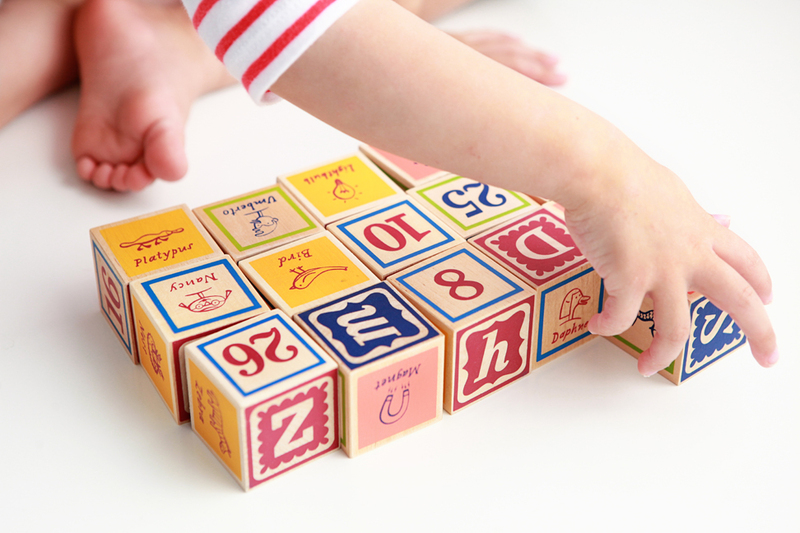 Nod Blocks are great because on the face of each block is one of the following: an upper case letter, lower case letter, number and a word that begins with the letter showcased on the block and an illustration to go with each, e.g., whale, wrench and Walt. 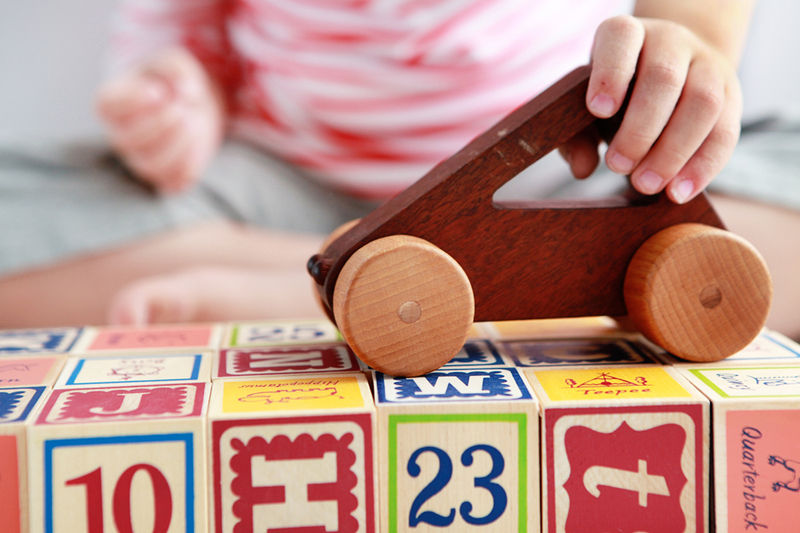 Blocks like these are a versatile toy that provide opportunities for play and learning! Thanks to Land of Nod for sending us Nod Blocks to try out.